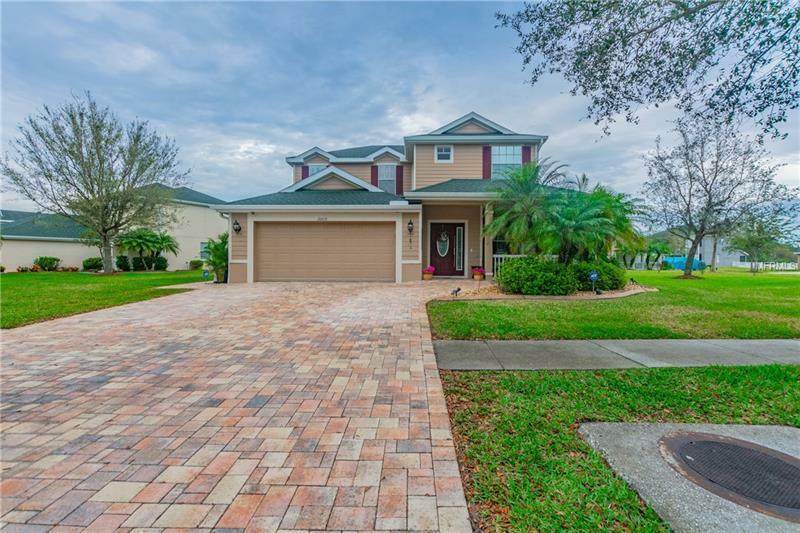 Nearly completely updated 4 bedroom, 2.5 bath pool home on a HUGE fenced lot, located in highly desirable Gated community of Live Oak. As you pull up, you are immediately drawn in by the curb appeal of the extra wide paver driveway and covered front porch. Entering in to foyer, you are greeted with 20' high ceilings and solid wood staircase. With formal living and dining room with built in cabinet/buffet. The chefs kitchen with 42" wood cabinets, granite top and stainless appliances that over looks the family room and breakfast nook. The downstairs master is spacious with his and hers closets. The master bath is gorgeous, with his and her vanities, designer shower and free standing tub. Upstairs features 3 spacious bedrooms and an updated full bath with double sinks, granite tops and large subway tile in the shower. Outside the screened pool are with pavers has plenty of deck space perfect for entertaining. Additionally, there is a quiet sitting area outside the screen area, perfect for relaxing. Live Oak features 3 gates, HUGE Resort style pool, basketball, lighted tennis and pickleball courts, golf driving range nets and 6 hole putting green practice area, and a Clubhouse with fitness, billiards/ping pong, and gathering room. You will be impressed!! !